Be confident about your marketing ROI! Did you know that as many as 73% of executives think that marketers lack business credibility and are not focused enough on business growth? 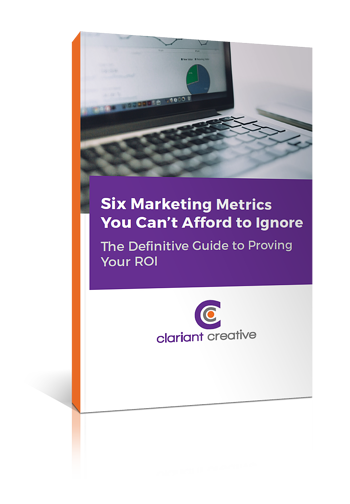 This cheat sheet walks you through the six metrics that directly connect your return on marketing investment with business outcomes - so you can prove those executives wrong! Tell the right story, and you'll get your C-suite interested in and excited about the terrific results you and your marketing team are generating!